First off I’m going to cover the compliance policy used in my example. 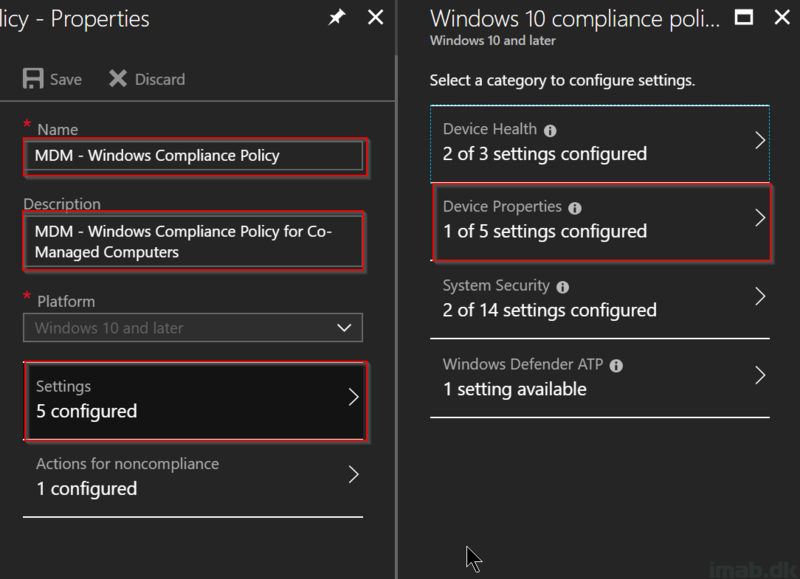 The compliance policy is essentially a set of rules and settings that a device must follow to be considered compliant. 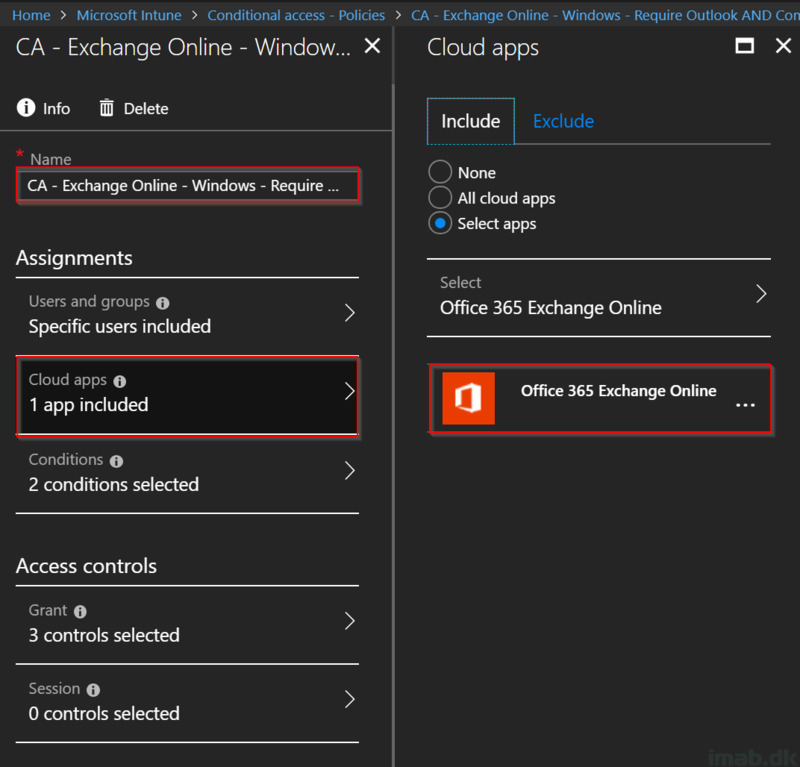 And in this case, if not compliant = no access to company e-mails in Exchange Online. 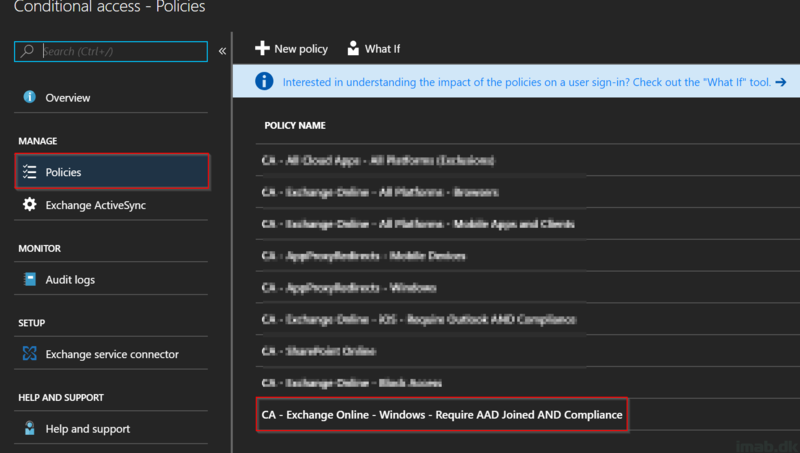 Next up is the Conditional Access policy. 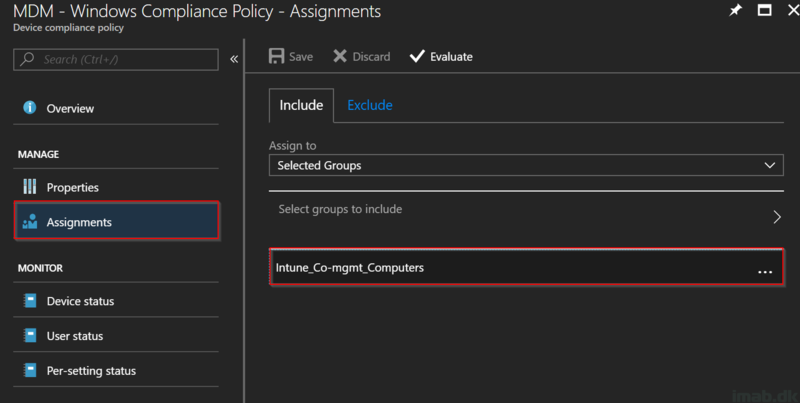 This one is also created and managed through the Azure portal, in the Intune section -> Conditional Access. So, enough with the configuration. How does it turn out from an end users perspective? 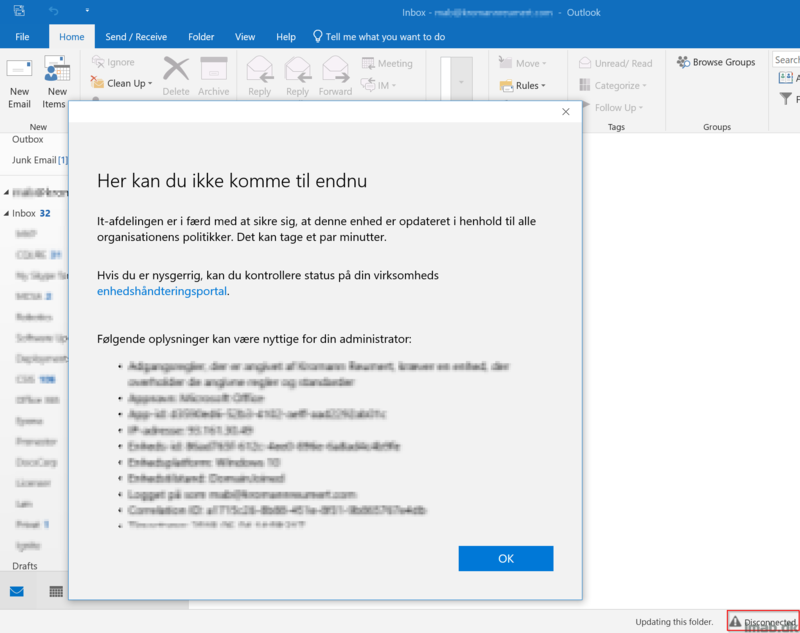 And when checking compliance in Software Center (Yes, that works with Intune in a Co-management scenario), I see following error (Again, sorry for the danish message). It says that the device doesn’t meet the minimum requirements for the OS. 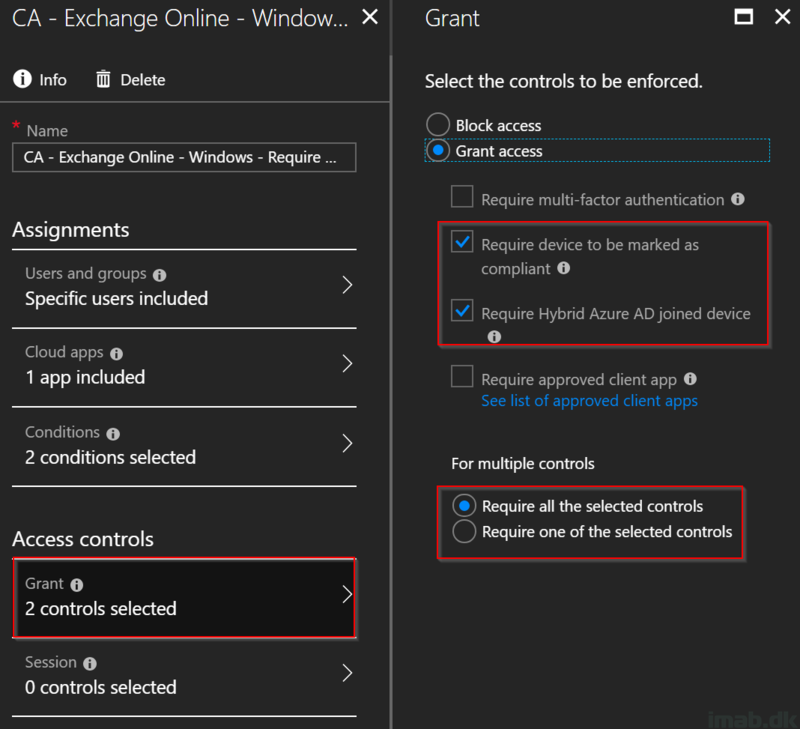 And of course, if coming from a Windows 1803 device (compliant) AND AAD hybrid joined I’m granted access. Voila!